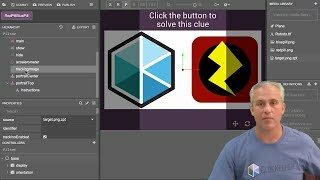 Watch this five part tutorial series when you are ready to learn ZapWorks Studio. 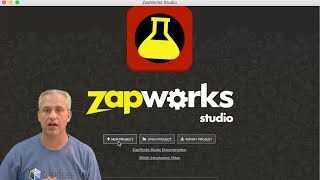 Learn by doing as you follow along to create a more advanced zap in ZapWorks Studio. Watch a demo of the zap we will create, then get your hunt, computer, phone, and zap ready to go. 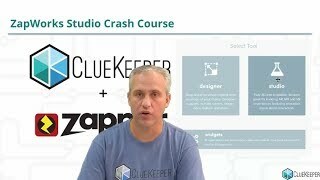 Make a simple Hello World zap using ZapWorks Studio and add the zap into your ClueKeeper hunt. Add the ClueKeeper Zappar library so that you can submit clue solutions and start codes from within your zap. 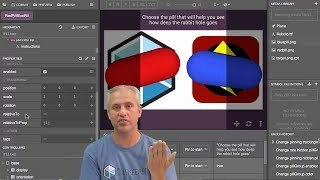 You will also learn how to make a button in ZapWorks Studio. Click here for the ClueKeeper Zappar library. Add a tracking image to your zap that will display the red and blue pills. For this step you will need to either print the target image or you will need to have it visible on your computer screen. 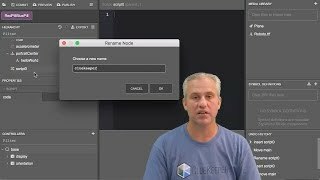 Learn to use controllers and states to set properties. You will make a controller that has 3 states to make your own "Grab and Go" style zap.